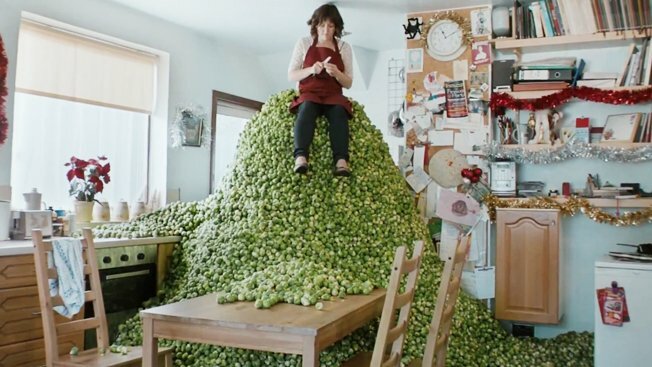 Morrisons, the British store chain, is running “The Truth”, a Christmas advertising campaign connecting with the hard work that goes into preparing a British family Christmas celebration. A woman invites us into the challenges associated with setting up a tree, cooking a turkey, preparing hundreds of brussels sprouds and catering for countless relatives. The Truth was developed at DLKWLowe by creative directors Dave Henderson, Richard Denney and Tom Hudson, copywriter Matt Lever and art director Helen Rhodes, and agency producer Abigail Tarrant. Filming was shot by directors Si & Ad via Academy Films with producer Lucy Gossage and director of photography Alex Barber. Post production was done at Finish by VFX artist Jason Watts and producer Justine White, and The Mill, by colorist Aubrey Woodiwiss and producers Niamh McGregor and Cath Short. Animator was Mark Waring at Clapham Road Studios. Editor was Joe Guest at Final Cut with assistant editor Paul Moth. Audio post production was done at Grand Central.